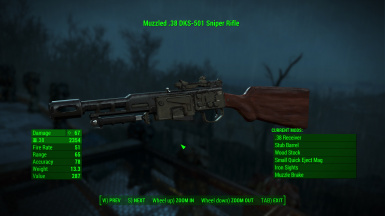 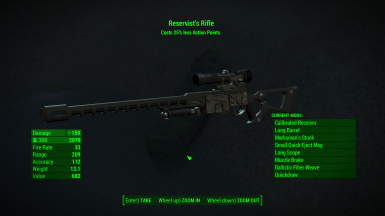 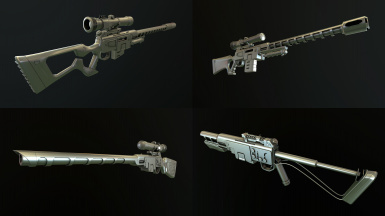 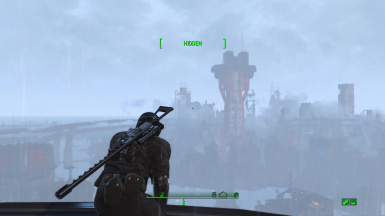 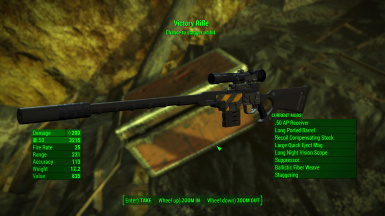 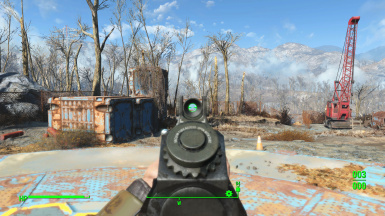 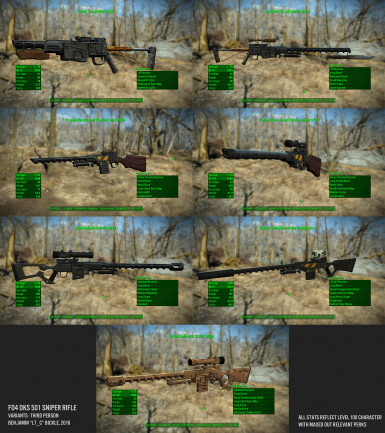 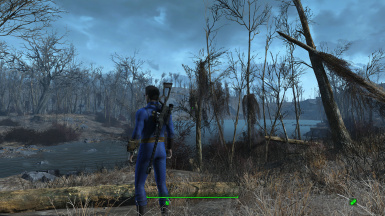 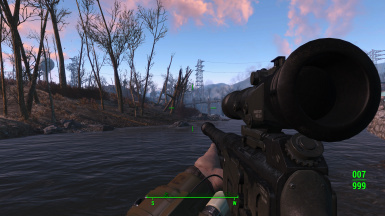 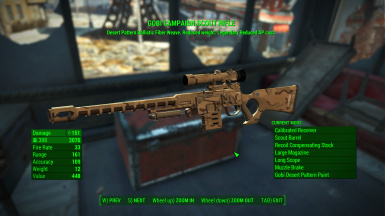 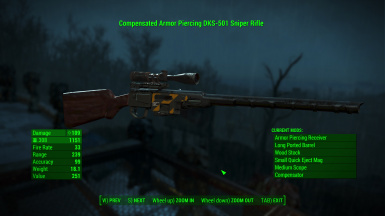 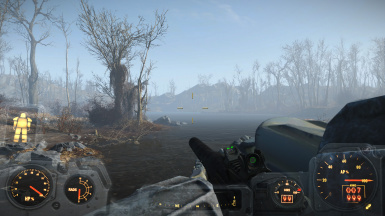 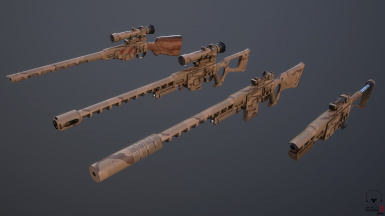 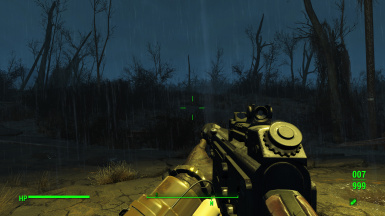 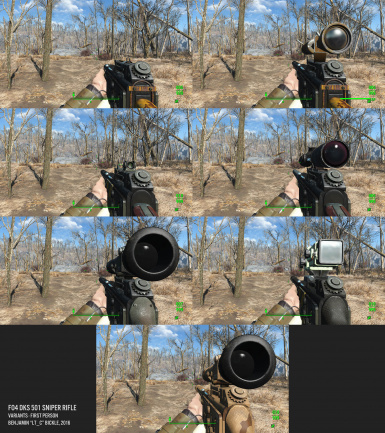 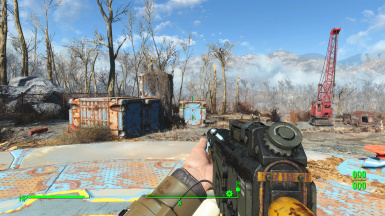 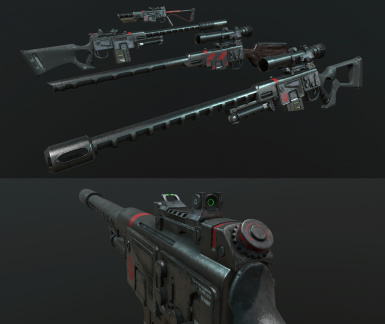 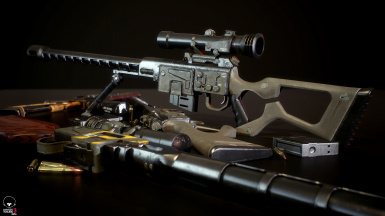 I've been enjoying the "Realistic Guns and Bullets" by SerpentBlade (http://www.nexusmods.com/fallout4/mods/9343). 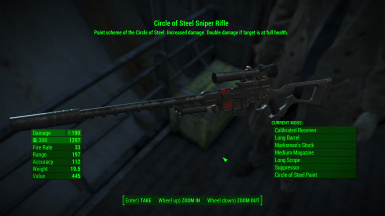 I was wondering if you might make an optional version where the stats meet its criteria. 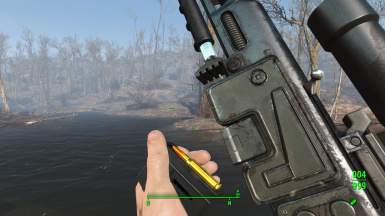 Unfortunately, SerpentBlade's mod makes this version of the gun underpowered. 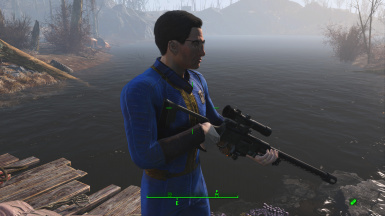 Yeah I use stronger vanilla weapons and have the same issue... it makes so this gun is barely a popgun which in an already modded survival game renders it useless. 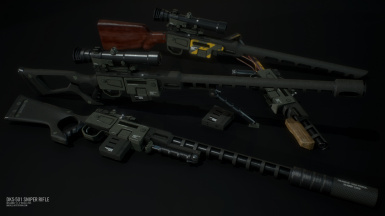 Sad cause I love he model and work put into it. 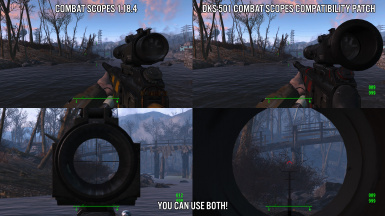 I wish I felt comfortable using FOMOD to alter its stats.